There isn’t much the genealogical community can’t do if we put our minds and hearts to it — and computers too! Case in point: the fabulous job just completed of indexing the records of the Bureau of Refugees, Freedmen, and Abandoned Lands — an agency that became known as the Freedmen’s Bureau. Nearly 19,000 volunteers took the time to index and arbitrate the names on more than 1.75 million records, extracting roughly 1.8 million names of individuals from these critical Civil War-era records. And in just one year — the project was launched in June 2015 — the indexing is now complete. A big part of that was the effort of the chapters of the Afro-American Historical and Genealogical Society (AAHGS), which held indexing events — but this was a partnership effort: the Freedmen’s Bureau Project was created with the help of FamilySearch International and the National Archives and Records Administration (NARA), the Smithsonian National Museum of African American History and Culture, AAHGS, and the California African American Museum. And in the final analysis it was individuals — folks like you and me — who took an hour here, a half-hour there, and got it done. These records document life as it was at a critical time in American history — recording the lives of so many of those who were struggling to redefine themselves, their lives and their communities after the Civil War. They offer clues to the descendants of all those who were slaves and all those who were slaveowners. To the descendants of all those who lives in the towns and cities and counties whose lives were impacted by that struggle to redefine life after the war. To the descendants of all those who lived in the South after the war who needed, and received, help from the government. To the descendants of the armies of government workers — officials, teachers, relief workers — whose efforts are recorded. In other words, for all of us with mid-19th century roots in the American south, these records hold the potential for some bit of information we couldn’t get any other way. But finding the record that might mention an ancestor can be challenging at best if records aren’t indexed, and it only gets harder when we’re dealing with a time period when large numbers of people were free to move and free to choose names for themselves — often for the first time. 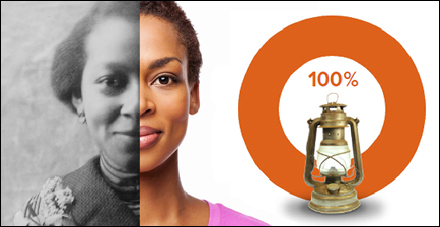 So having this index (it will be accessible through DiscoverFreedmen.org and, in time, through FamilySearch as well) will be a wonderful benefit for us all. Is this just the field office records of the Bureau or did they cover all the films for the six sets of filmed records? It seems difficult to believe that so many hundreds of rolls of difficult film could be indexed so quickly.